Awwww what a fabulous day! Just what I needed! If you’re in the UK the retreat is a must! We (myself and @lyndascraftroom) arrived this morning at 09:45 after a fairly easy 2 hour drive, and we were created by Ruby…..the guests that stayed overnight were just having breakfast so we got first dibs on seats ha! 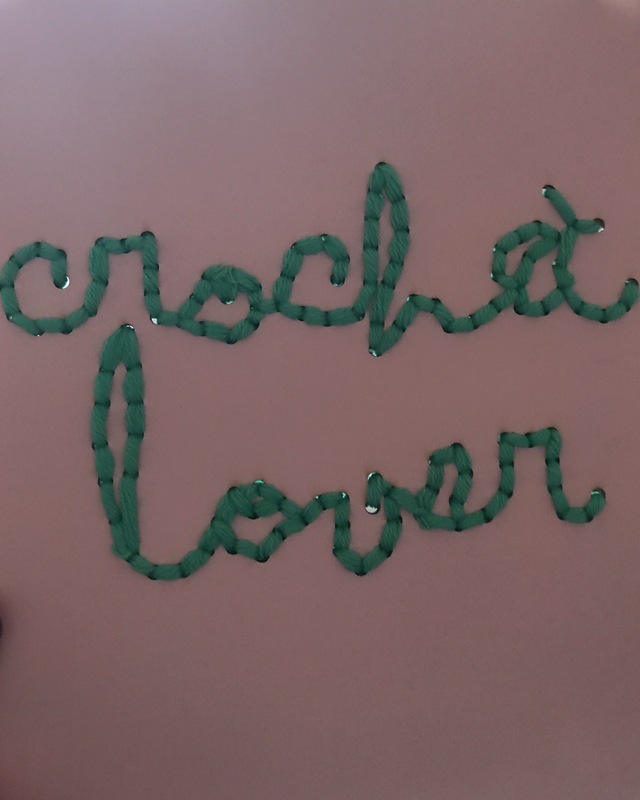 I was sooooo pleased and slightly starstruck as Amanda from the little box of crochet was sat at the table! I have this awful habit when I see someone from the TV or someone who I would class as famous (I do class Amanda as famous) I look at them and smile as if I know them and they know me! I normally get greeted with a ‘oh oh we’ve got a weirdo here!’ Last week I met chris Bisson from emmerdale farm and gawped at him, then just the other day kate ford (Tracey from coronation street) I’m sure I scared them both, but I played it cool when I saw Amanda, even though I was like wow! 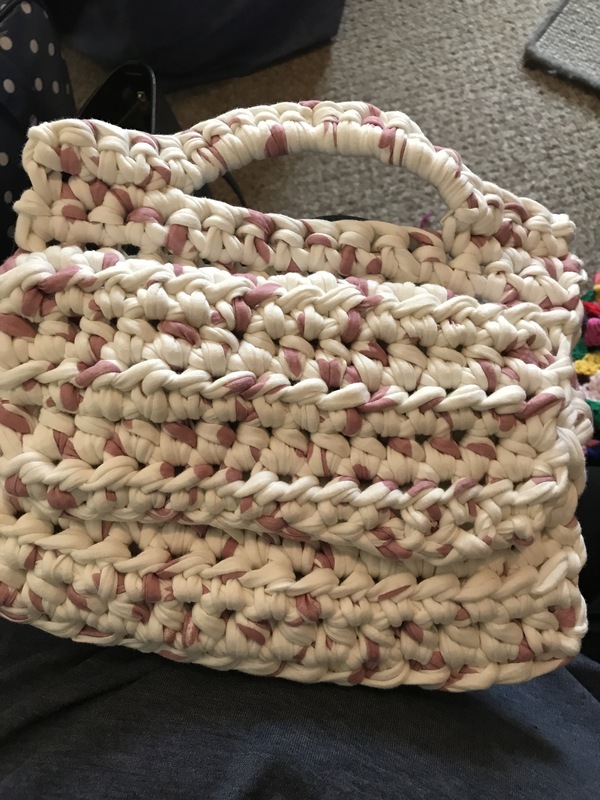 Made from t-shirt yarn, I quite like it! Just needs a big button on the top and clip inside to keep it closed, I might even use it. We then had a gorgeous lunch, and then went onto a workshop with a very clever lady from @cottonclara look what I made! Ok not quite crochet but very much yarn related and it will look lovely in my craft area, we then did some cross stitch on plastic templates, I’m rubbish at sewing so I’m not even going to embarrass myself by showing you my makes! Anyway, I’ve had a great day, we only had a day pass, but next time I’ll be booking a weekend for sure!